LTL Consultants, Ltd. is a full service municipal engineering and code enforcement firm headquartered in Oley, PA with a branch office in the Harrisburg/Lancaster area. The company was founded in 1994 and has grown to currently serve 25 municipalities in Berks County, Chester County, Dauphin County, Lehigh County and Montgomery County in Pennsylvania. LTL provides services to municipalities including: municipal engineering, water and wastewater engineering, sewage enforcement, zoning enforcement and building code enforcement. The focus of LTL Consultants, Ltd is our municipal clients. LTL Consultants does not work for developers. Consequently, we avoid the potential conflict that occurs when a consultant surveys, designs, and represents a developer’s plans in one municipality, and reviews and inspects the same developer’s project in another municipality. Our clients’ confidence is the most essential ingredient in our relationship with a municipality. Currently our staff consists of 30 employees including professional engineers, certified sewage enforcement officers, UCC certified commercial and residential building inspectors, site improvement inspectors, CAD/GIS technicians and clerical employees. 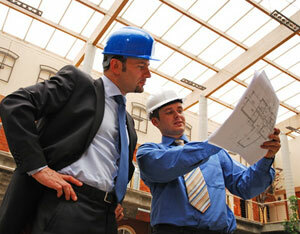 Our staff is well trained and highly experienced in municipal engineering and code enforcement matters. Adhere to professional standards of ethical conduct in all aspects of our work. Assure that our interaction with the municipality is characterized by honesty and integrity. Provide high quality services in an efficient manner. Assign capable people with the skills and experience required. Communicate with the municipality on a regular and timely basis. Assure that our fees are reasonable and competitive. Specifically tailor services to meet the specific needs of each client.